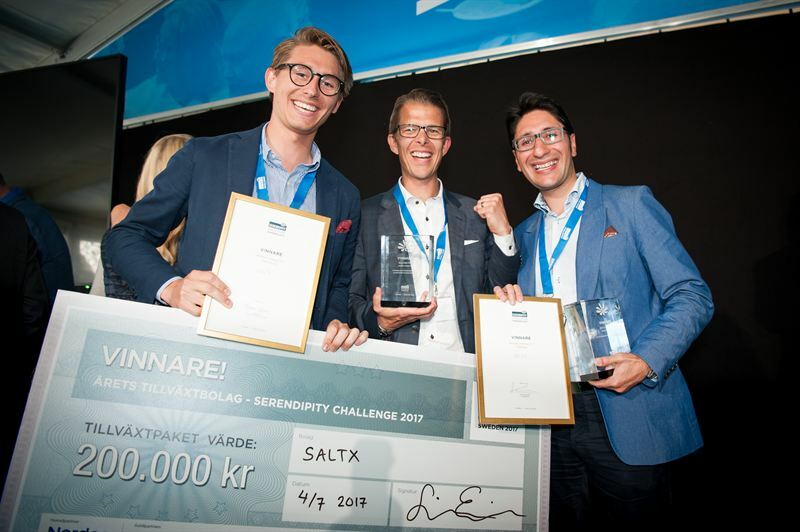 SaltX Technology won Growth Company of the Year and the Industry’s Award in Serendipity Challenge 2017 – Sweden's largest entrepreneurship competition for start-up and growth companies. Out of 400 Nordic contributions, 50 companies competed in the final held in Visby, Gotland, where SaltX took home two prizes. "With its unique technology, the company contributes to sustainable development in energy storage while addressing one of today's global challenges. The company uses a cost-effective and natural raw material and is well-equipped for the global market. "